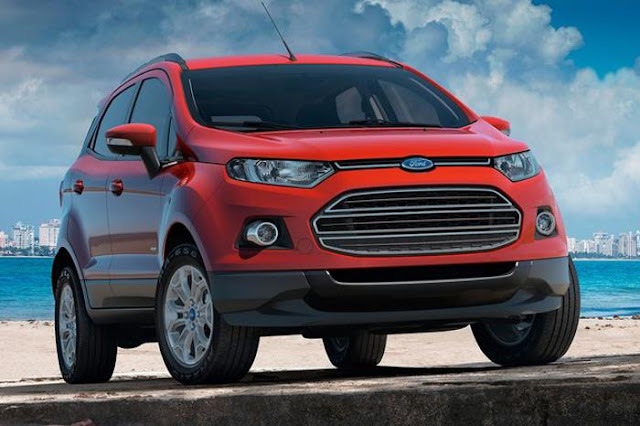 Ford starts promoting EcoSport - will it be launched before Diwali ? Ford has started promoting its upcoming and most awaited EcoSport. The sources close to the company say that the car will have a 1.0L Petrol engine which is a new refined engine, first to be installed in EcoSport. This engine, as per sources will be equivalent to Ford's 1.6L petrol engine. The Diesel engine will be a 1.5L engine which is currently fitted in Fiesta. Ford's EcoSport is one vehicle which created jams in Auto Expo 2012. The stall was second most crowded after Mercedes Benz. The crowd who visited Auto Expo 2012 were also enquired about the vehicle and everybody's response was great. Seems like the car maker, has got some great vehicle for the Indian market and with this model launch in India, it shows the commitment of the carmaker towards Indian market. Now, that the market is getting heated up with launch of Renault Duster, first compact SUV for India, the Ford EcoSport which was earlier speculated to be launched in January 2013 might get preponed and the launch might take place near the festive season. However, no official confirmation for the same has been given by the company.